The Alumni Society believes that is imperative that the learners get exposed to a wider spectrum of information and not only be restricted to the classroom. These may be in the form of career expos, industry site visits, university visits, participating in university learner programmes participation. This will give learners an opportunity to make more informed decisions in terms of subject and career choices. Over and above the Career Expo held in March, 2019 the boy learners have participated in the Loxion Science STEM camp. This initiative is about giving learners an opportunity to learn about STEMI (Science, Technology, Mathematics and Innovation) disciplines through hands on experiments and mentoring. A camp for girls is also upcoming where learners will also get the same experience. We need to improve the experiences that students have outside the classroom. To this end, in 2019 we would like to start a fund to be able to assist students in attending enriching events at organisations and Higher education institutions. Please help us with our first project, giving scholarships to 12 learners to attend engineering week at the University of Pretoria. Donate!! Help us raise R10k for UP 2019 engineering week. Learners attended a Career Expo which was held at Tsogo Secondary on 1 March 2019. It is an annual event hosted by Tsogo Alumni Society for the learners to critically figure out their careers paths and future as a whole. 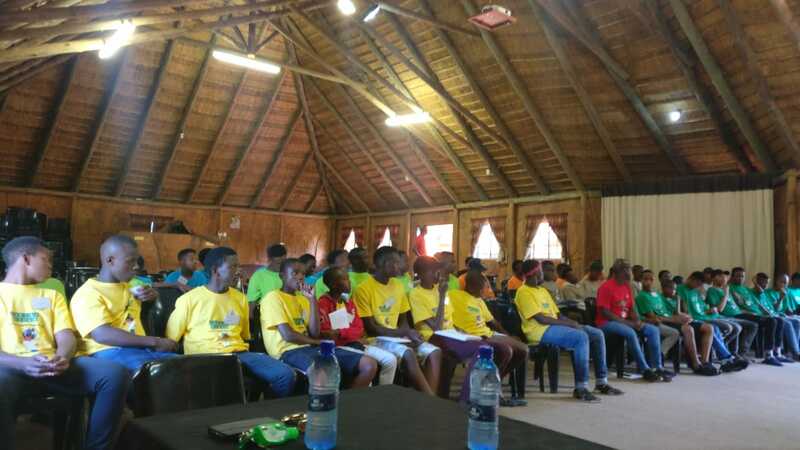 Learners from grade 9 to 12 were invited, as well as grade 12 learners from neighbouring schools, Malatse Motsepe Secondary School and Mothotlung Secondary School. The Tsogo career expo was all about hope. The hope of someday waking up to a brighter future. It reminded me of the little learner in me who dared to dream against all odds. My favorite part was interacting with the learners. I was no longer a medical doctor, but could talk to them face to face to reaffirm the power of their dreams. My presentation entailed careers in the health sector, from medicine and dentistry to allied health courses such as dietetics, physiotherapy etc. I provided a basic tutorial about the requirements for university admission and what each career mainly focuses on and clarity when it came to becoming a specialist in the medical fraternity. I have had the privilege and the honour to organise the Career Expo for the past 5 years, and I have had the pleasure to see how the event has evolved over the years. Over the years I represented KPMG and now PIC, focusing predominantly on careers that are in the commerce field.